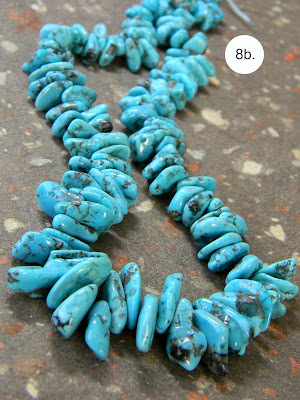 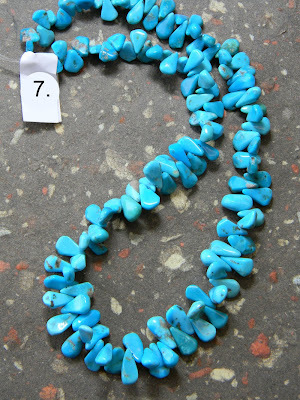 Here's the last of four selections of turquoise beads. 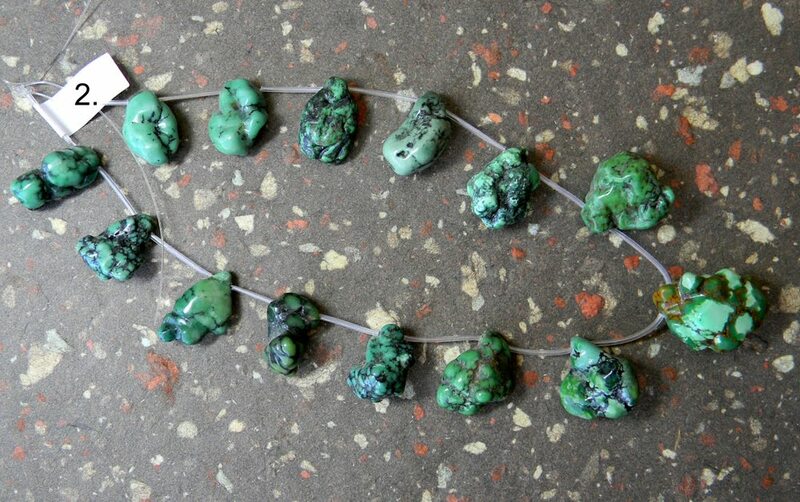 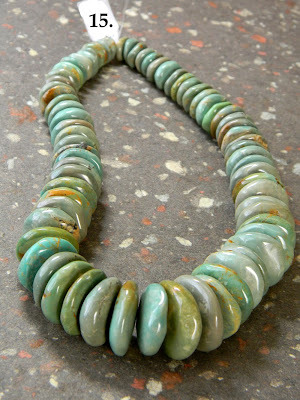 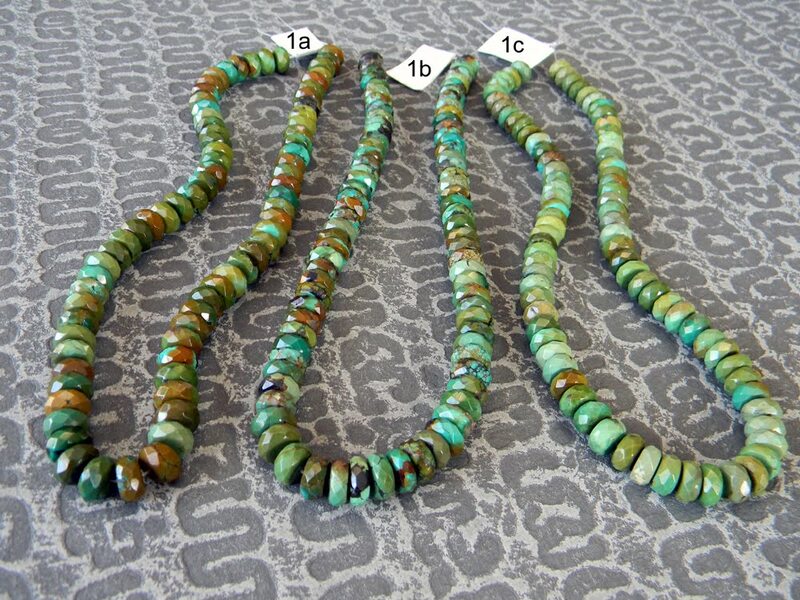 These are strands from my stash--amazing green Chinese turquoise graduated baroque disc beads! All items shown are 16-inch strands. 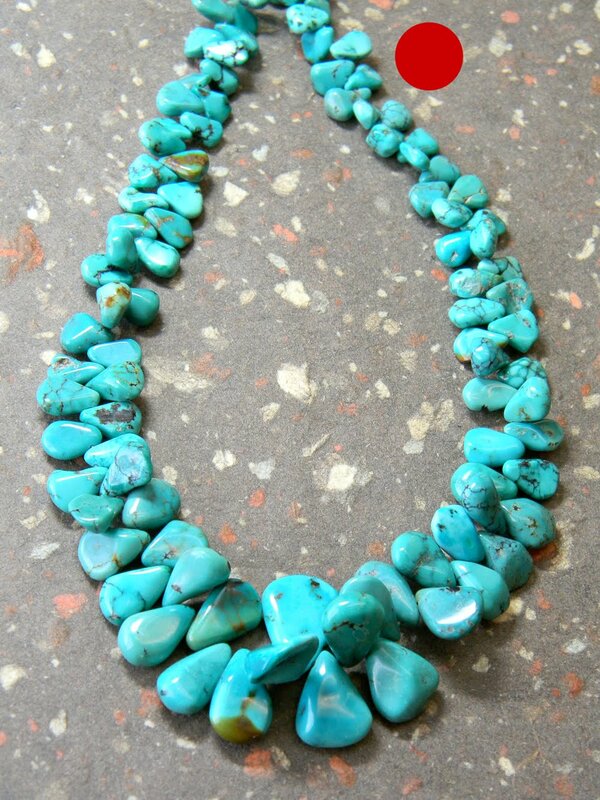 Email Anita for more information or to request a price list. 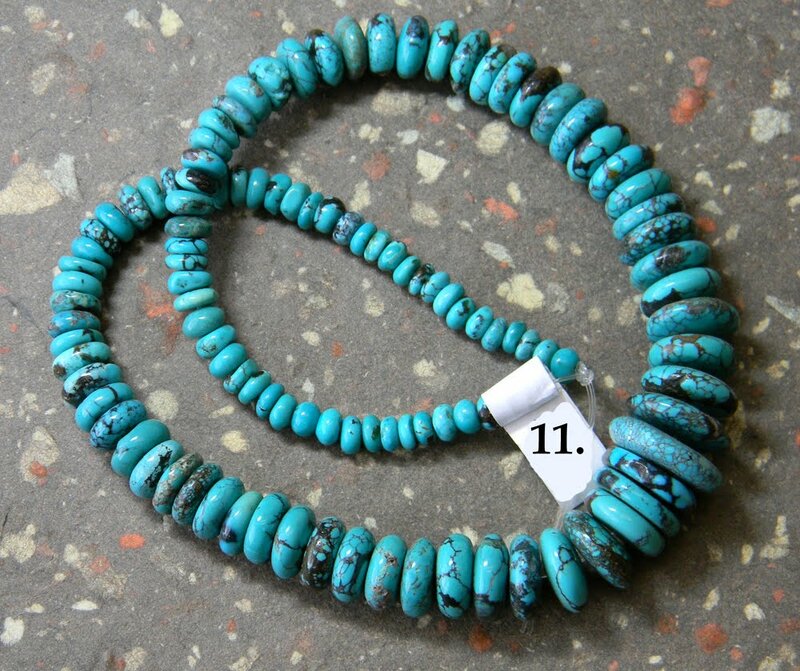 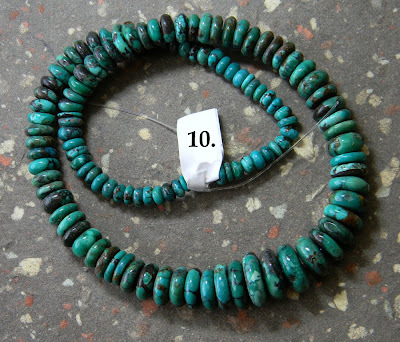 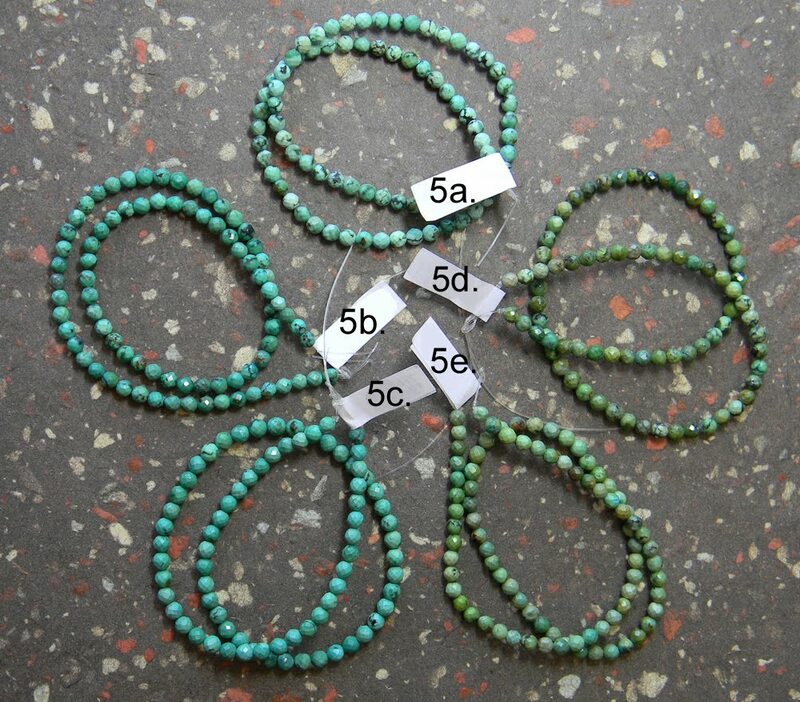 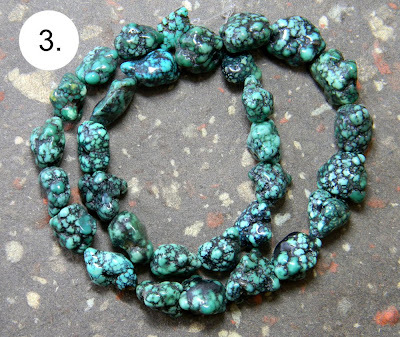 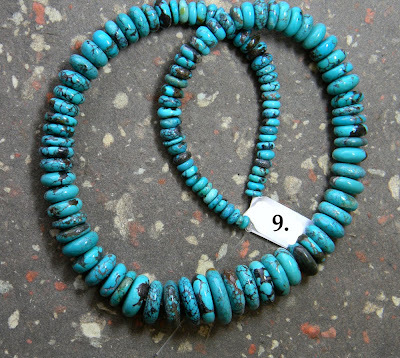 See also: Tibetan Turquoise, Turquoise Top-drilled Petal Beads and Turquoise Beads 3. 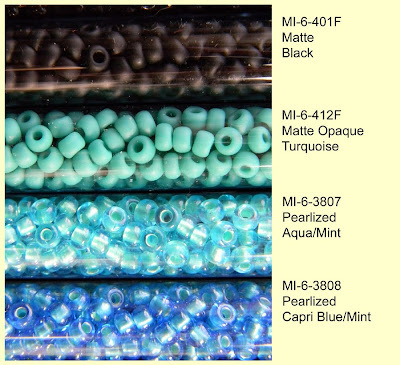 All items shown are 16-inch strands. 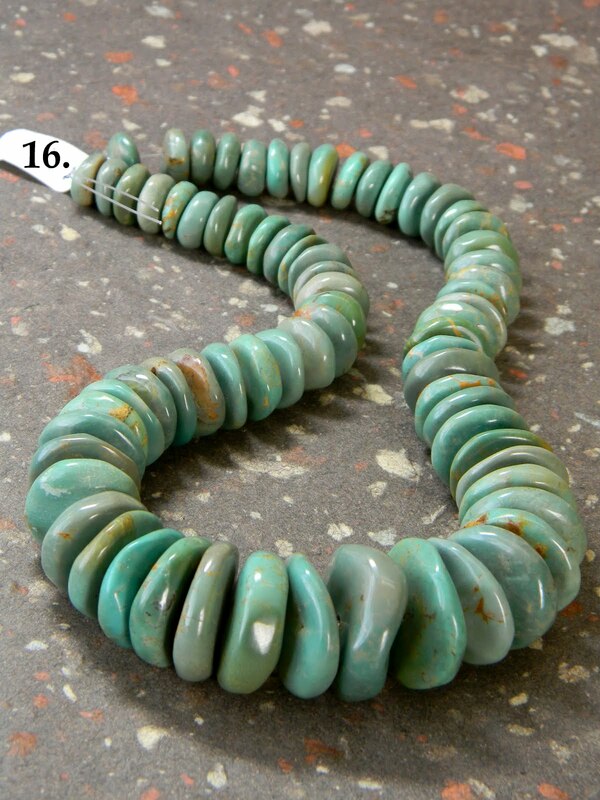 Strands 13a. and 13b. 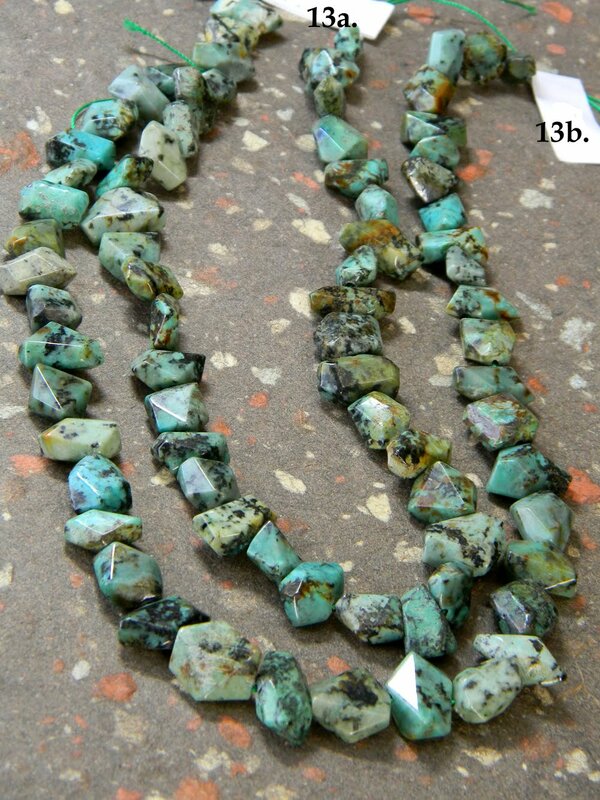 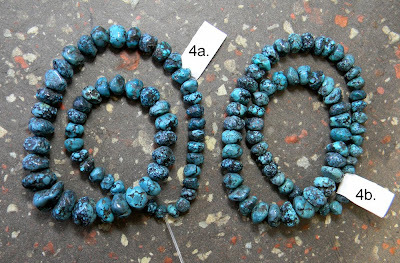 are faceted nuggets of African Turquoise which is not real turquoise but rather a stone which is turquoise in color. 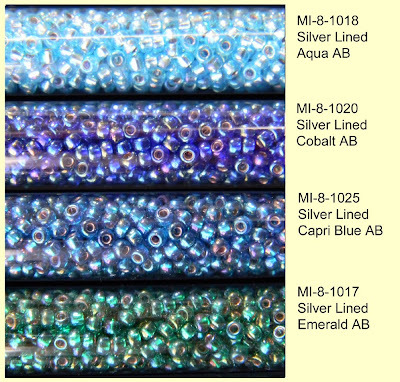 Email Anita for more information or to request a price list. 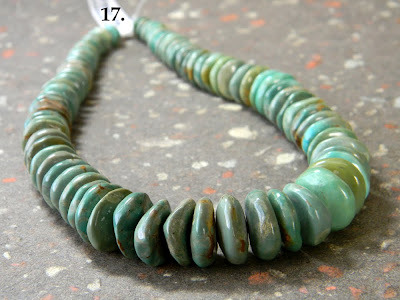 This bracelet was the precursor to my Daily Bracelet series. 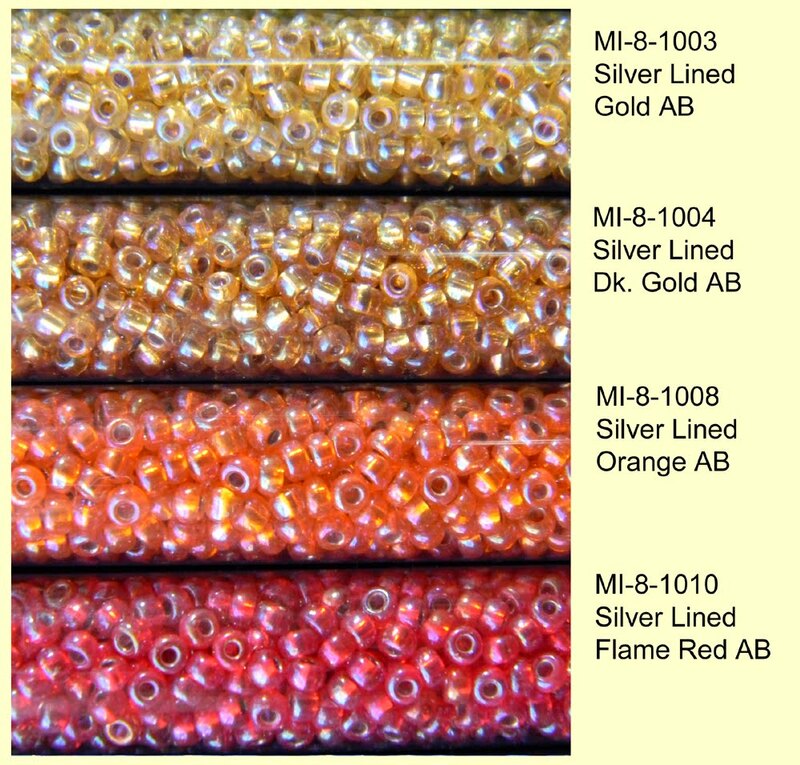 I sold it a few summers ago and have been trying, with no luck, to find a source for those Czech glass star flowers in the orange coral color! 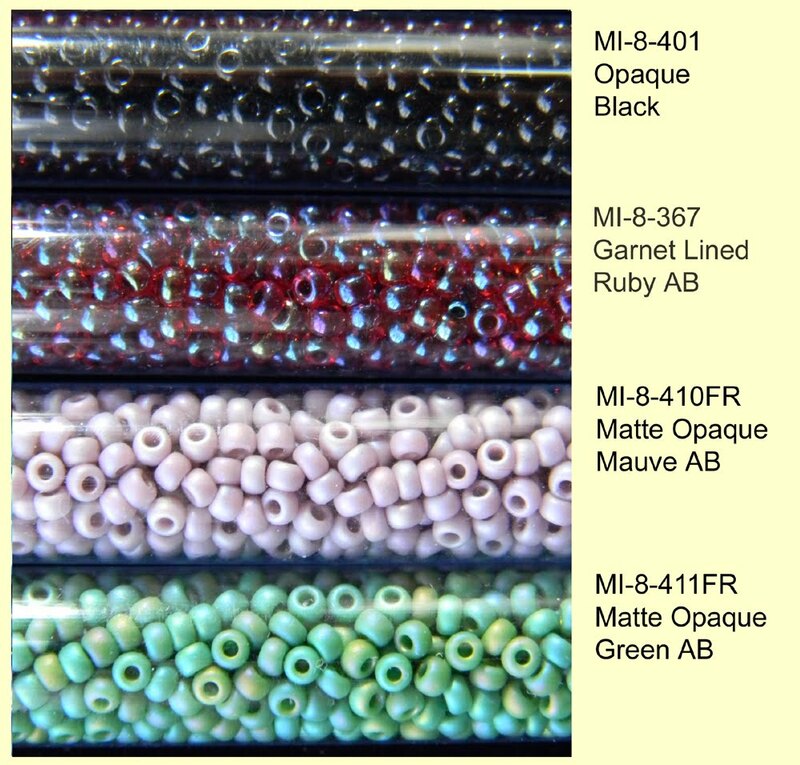 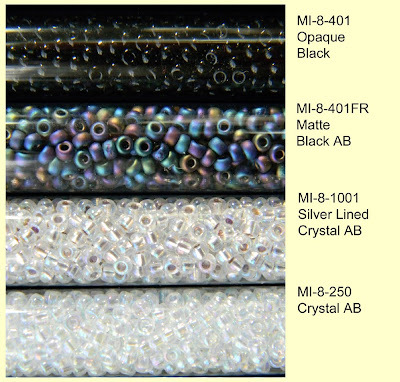 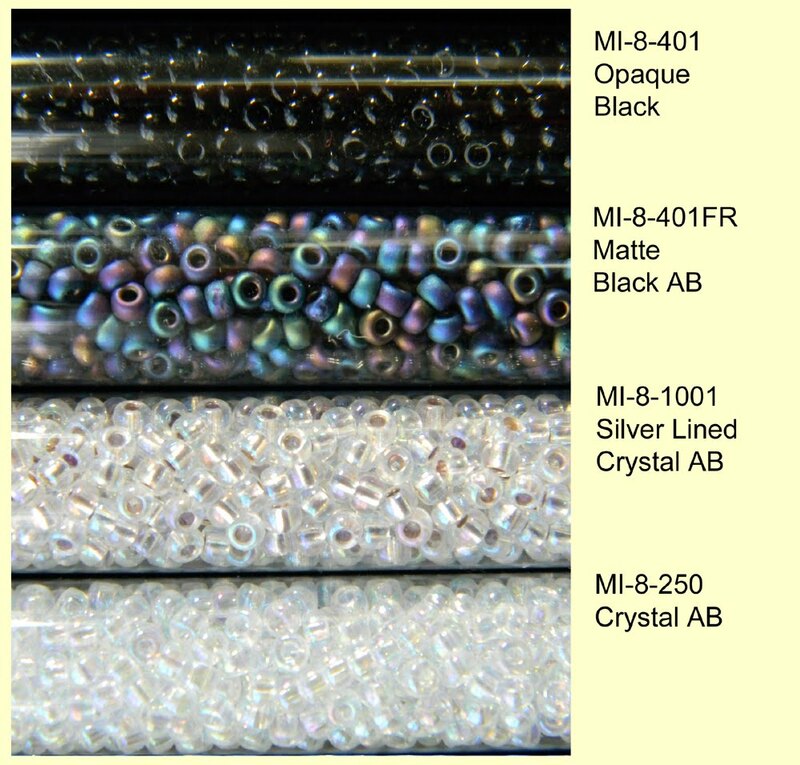 Here are twenty-four new colors (not counting a few repeats) of size 8/0 Japanese seed beads manufactured by Miyuki which you can find on the wall at Anita's Beads. 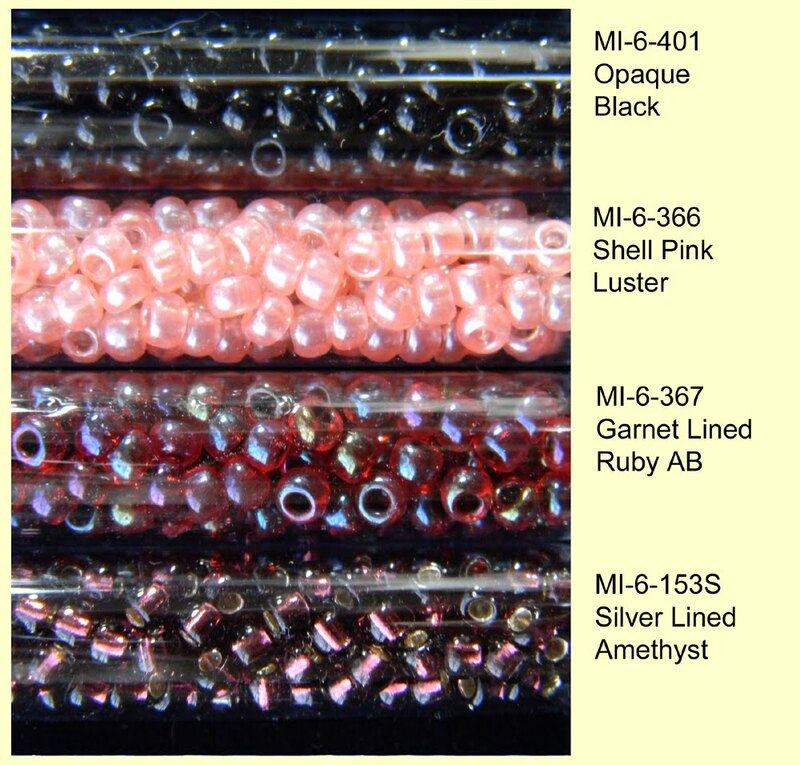 Email Anita for prices or to place an order. 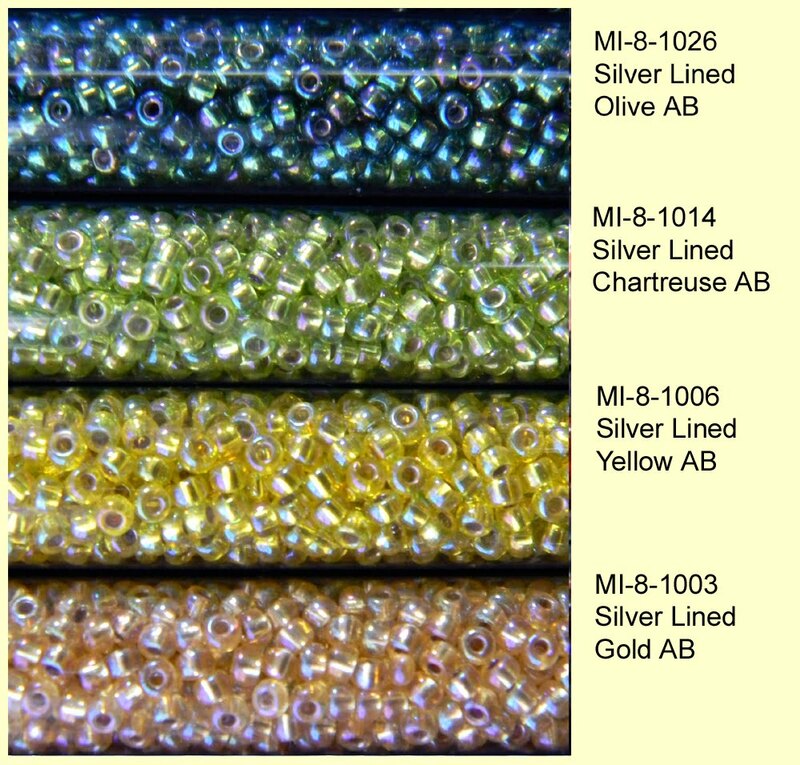 These will look fabulous braided Kumihimo-style on S-Lon cord. 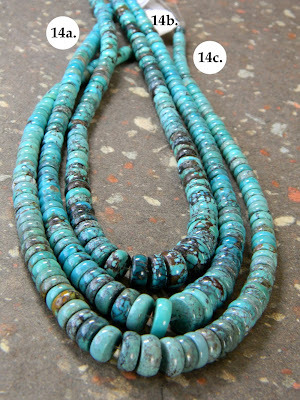 Stay tuned for examples of this popular new trend. 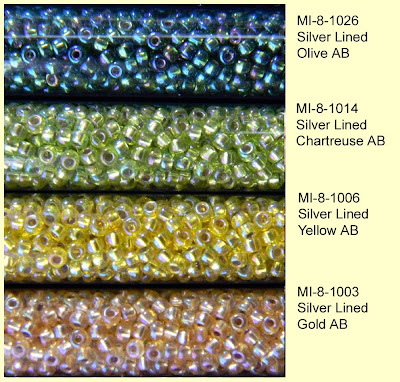 Here are eight new colors of size 6/0 Japanese seed beads manufactured by Miyuki which you can find on the wall at Anita's Beads. 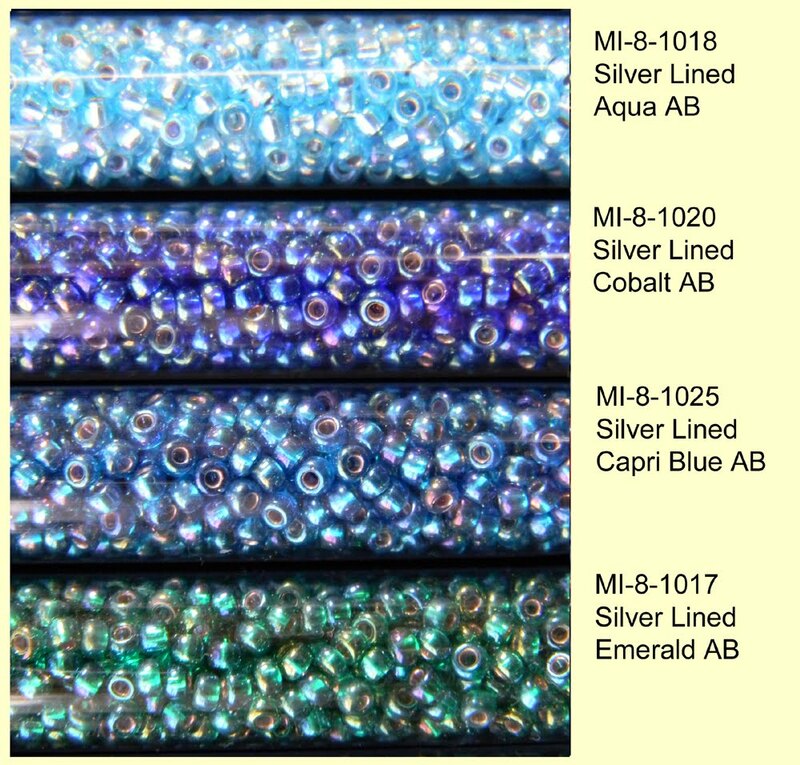 Email Anita for prices or to place an order. 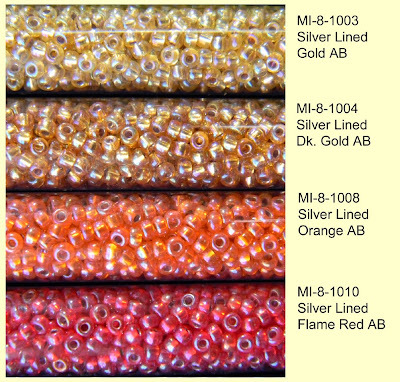 These will look fabulous braided Kumihimo-style on Tex-400 cord. Stay tuned for examples of this popular new trend. 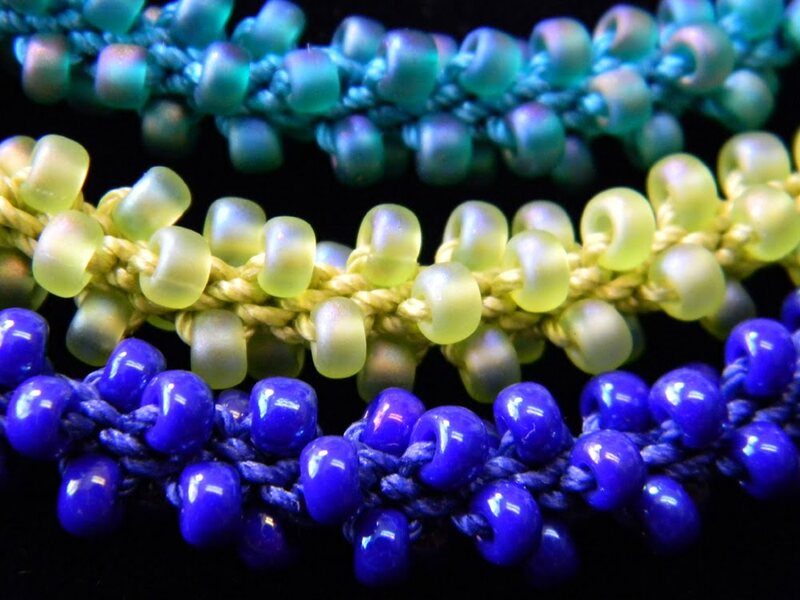 Here are a few 8-cord round Kumihimo braids done with size 6 Japanese seed beads on Tex-400 cord. Only two of the cords were strung with beads which allows the center of the braid to show. 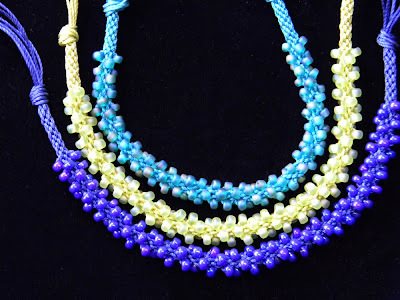 They are quicker to make than braids with all eight cords carrying beads, and also a bit more flexible. I started with four 2-yard pieces of Tex-400 folded in half and knotted at the fold, and left about 3/4 plain braiding before adding in beads. 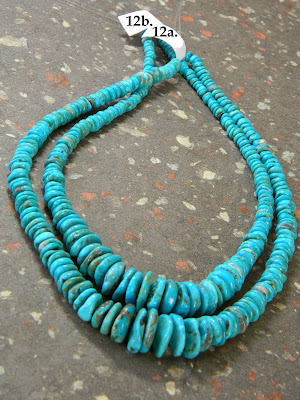 To finish ends I will bind cord with thread before cutting off the knots. 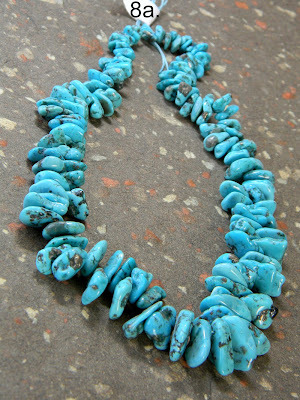 The last step: 4mm barrel cone caps will be glued on the ends to cover the bare braid. 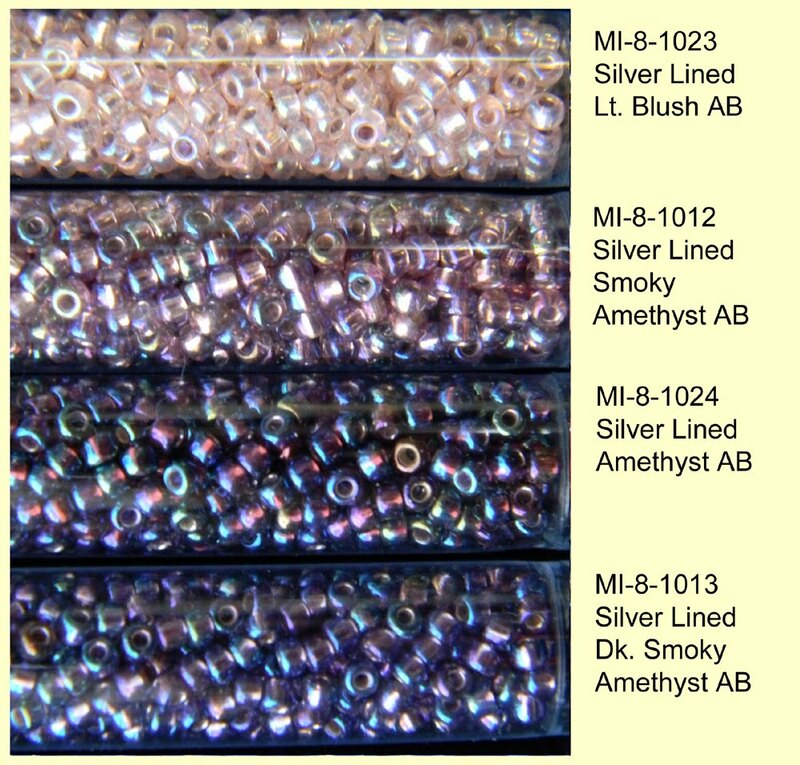 I love the look so much that I have ordered new colors in size 6 (in addition to some size 8 which are perfect for braiding on S-Lon cord). 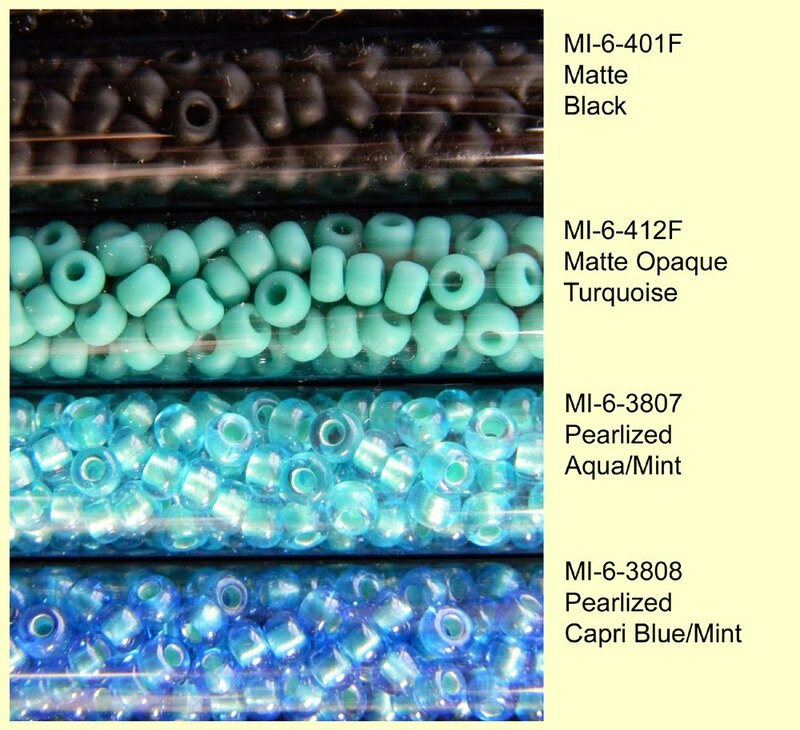 The new colors should be up on the wall by Thursday! 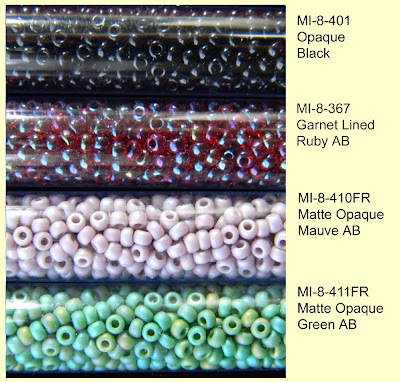 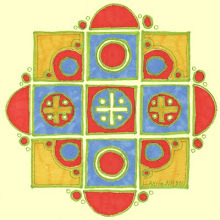 The square Kumihimo plate used for flat braiding is expected to arrive in the same order. Tibetan Turquoise has to be one of my favorite stones for beads. 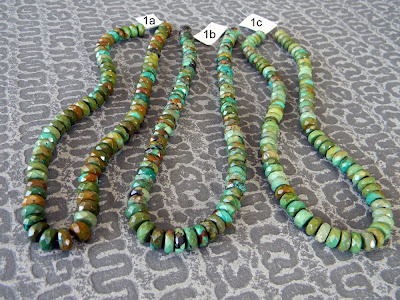 I love the variation in color, the mixture of greens, browns, and blues along with the dramatic black contrast of the matrix. 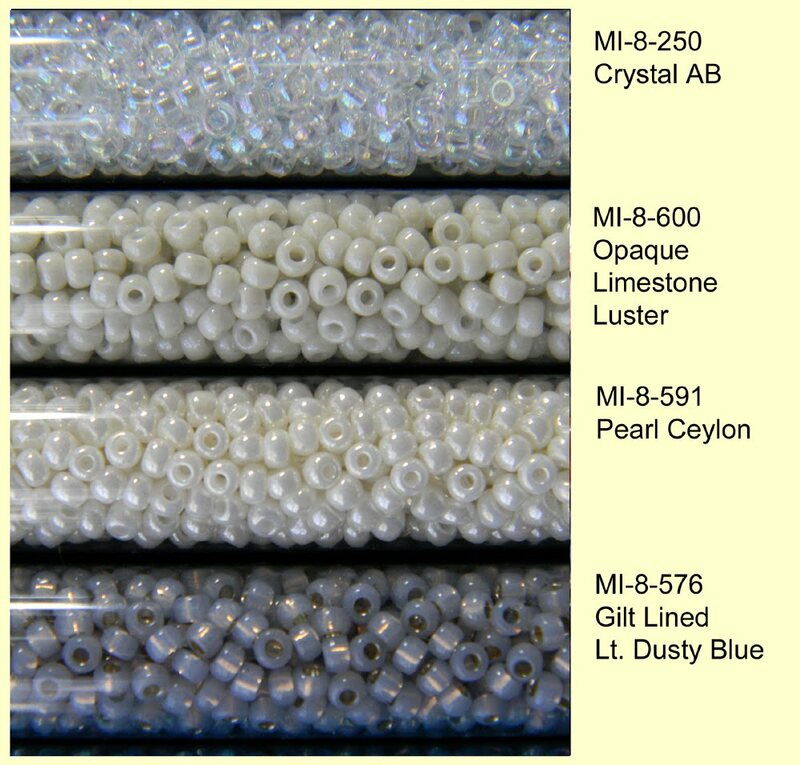 All items shown are 16-inch strands. Email Anita for more information or to request a price list. All of these strands of top-drilled graduated petals measure 16-inches. 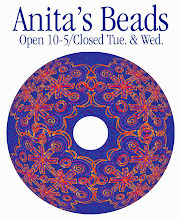 Email Anita for more information or to request a price list. These are all natural turquoise, (nothing synthetic, dyed or reconstituted).